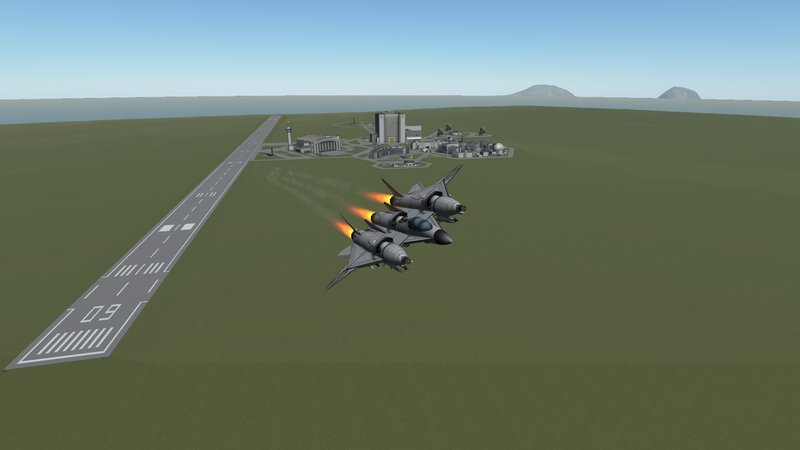 A Central Kerlin Union Air Force Attacker/Fighter developed as a counter for Northern Krussian Alliance armored assaults during the Second Kerbin Wide War. The Schildkrote (Literally, turtle) also served in air superiority roles, it’s dual 30mm rotary cannons making short work of most, if not all, opponents. However, it was quickly replaced early into the war by more reliable and cheaper crafts, as the Schildkrote typically required regular maintenance every couple flights. It also proved to be a rather large target, being easily spotted by enemy crafts. A mod aircraft called (BD) CKUAF A/F-10 Schildkröte. Built with 92 of the finest parts, its root part is fightercockpit.